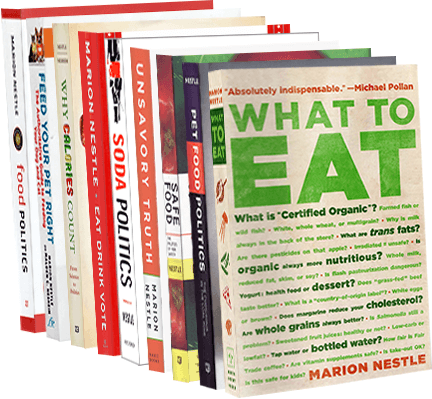 Food Politics by Marion Nestle » The FDA clarifies: Is your drink a supplement or a food? The FDA clarifies: Is your drink a supplement or a food? By an act of Congress, dietary supplements are regulated less strictly than conventional foods, so much so that some beverage manufacturers would much prefer to have their products labeled as dietary supplements than foods, energy shots, for example. Under the law, the FDA pretty much has to keep hands off of supplements, except when something egregious happens, like people getting sick or dying. This guidance represents the Food and Drug Administration’s (FDA’s) current thinking on this topic. It does not create or confer any rights for or on any person and does not operate to bind FDA or the public. You may use an alternative approach if the approach satisfies the requirements of the applicable statutes and regulations. Why is FDA doing this? I’m guessing for two reasons. We have observed an increase in the marketing of liquid products with a wide array of ingredients and intended uses. Some of these products are marketed as dietary supplements, and others as conventional foods. We have seen a growth in the marketplace of beverages and other conventional foods that contain novel substances, such as added botanical ingredients or their extracts. Some of these substances have not previously been used in conventional foods and may be unapproved food additives. 2. The high caffeine levels in those drinks. Other substances that have been present in the food supply for many years are now being added to beverages and other conventional foods at levels in excess of their traditional use levels, or in new beverages or other conventional foods. This trend raises questions regarding whether these new uses are unapproved food additive uses. Caffeine is GRAS (generally recognized as safe) at the levels added to soft drinks. But the levels in energy drinks are so much higher that the FDA has questions about whether GRAS applies to them. These guidance documents are open for comment. If you care about such issues, weigh in now.